What's Beyond Forks? : Væmpires Bloody Chunks Tour! Read Chapter 6 Part 2! Væmpires Bloody Chunks Tour! Read Chapter 6 Part 2! The tale of The Evolutionary War resumes in Væmpires: Zombie Rising.Væmpires have taken control of twelve major cities. Their leader, Vielyn, seeks the atomic weapons that will bring the rest of the world to its knees.Vampire forces are reeling. As Linq and Ray race to the royal estate to rendezvous with Cassandra and Daniel, the princess is captured and Daniel falls.With the fate of world shifting to their teenage shoulders, Linq and Ray must deal with tremendous losses while battling a most unexpected—and undeadly—new foe. 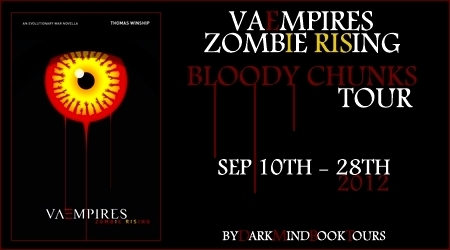 I hope you enjoy Væmpires: Zombie Rising! Ready for more?? 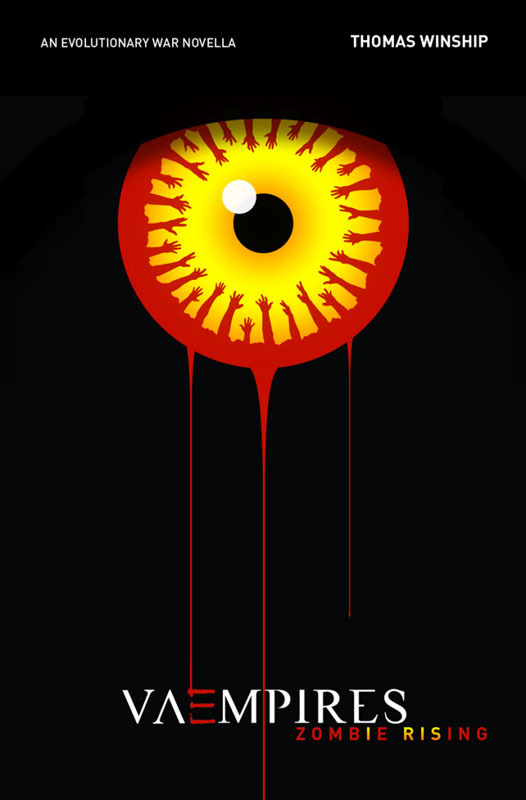 Check out Chapter 6 Part 2 from﻿ Væmpires: Zombie Rising below! If you haven't read them already, you can catch up by reading the previous chapters at the blogs all along the tour listed above. Enjoy! “This stinks,” Ray said, his voice devoid of levity. Linq agreed, but didn’t respond. The stench of blood and decay was thick in the air. Væmpire blood, for the most part. The smell of so much of it should have bothered him. Two days earlier, it would have. Now, he found that it pleased a savage part of him, a part that reveled in it. A part that sickened him. A part that he wished had never been awakened. “Be careful what you wish for,” Ray cautioned. “Who says I’m wishing for anything? Linq’s silent agreement seemed to be enough for Ray, who nodded once before turning toward the tower that lay to their left. The blond teen sighed. “Cassie and Daniel aren’t here,” he said, giving voice to the obvious. The two friends gazed at each other, neither letting the concern they felt show in their eyes. Without a word, they turned and headed toward the familiar hill and tower that dominated the landscape. They were young, but they had already spent years of their lives in that building. Sitting atop a hill that formed a natural amphitheater, the round tower before them served as the base of operations for the royal guard. Within its walls of concrete and stone were the guard’s main offices, a small detention area, living quarters, and facilities for eating, training, and entertainment. The facility was so self-contained that some guards rarely left its confines. A door at the base of the tower was ajar. The way it hung open, as if only half committed to any course of action, suggested that it would’ve swayed in the breeze if given the choice. And a breeze. Upon closer inspection, though, the door didn’t give the impression that it wanted to welcome the teens into its dark folds. It had a sort of hangdog look, as if it had been charged with a serious responsibility and failed. The subconscious message it sent Linq was that there was nothing there for him to bother with. “Or both,” Linq added. “And it wasn’t just one or two people,” he noted, his heart sinking into his stomach. “Christ, there’s blood everywhere!” Linq exclaimed. The hill resembled a grass canvas with red paint splashed across its surface. In places where the blood splatter fanned out in widening arks, the summer sun had already dried it to the color of rust. In other areas, spilled blood had cascaded down to form pools in the dirt, where it glistened as it slowly thickened. Instead of answering, Linq walked a dozen yards east, toward the object that had caught his eye. It was nestled between two large tufts of grass, as if trying to burrow to safety, but it couldn’t escape the blowflies and other insects attracted to dead flesh. It was a severed head, lying facedown in the grass. The long brown hair splayed around it meant it was probably a woman’s. Ray’s sharp intake of breath startled Linq, even though the muscled teen knew Ray was there. There was something unsettling about seeing a severed head anywhere, but this one was in a place where Linq and his friends had enjoyed countless hours of frivolity. “It isn’t Cassie,” Linq assured him. The color was close, but the princess had long curls and this hair was straight. “My thoughts exactly.” Linq squatted next to the head, but couldn’t bring himself to touch it. He imagined the hair feeling brittle and the flesh beneath it rubbery. “Should we turn it over?” he asked, although he realized that, by virtue of asking, he had taken ownership of the act. He clenched his stomach. “So we can see who it is,” Linq replied, although he was so relieved he probably wouldn’t be able to bring himself to do it even if Ray changed his mind. “Not funny,” Linq intoned, but his attention was already elsewhere, on something else his eyes had spotted in the grass. Ray didn’t follow him as he walked toward the object. Ten feet away, near the base of the hill, there was an area that was particularly trampled. It was more than just trampled; in several places, the turf was gouged away in divots. Scattered among them were fingers—four, to be exact. He found the remaining two a few feet away. “Jesus,” Ray hissed, stealing Linq’s attention. Linq looked up as Ray came loping over with a disgusted look on his face. “Someone’s face is lying over there,” Ray said. No. A face. Just a face. It’s been … I don’t know … stripped away or sliced off or something. It wasn’t a clean cut.” He used his hand to indicate a line that started behind the temple and angled down the cheek to just miss the corner of the mouth. Then he ran his hand through his spiky blond hair. “It kind of looks like a holiday mask lying there, with grass sticking up through one eyehole. The other one, though …” He didn’t finish, shuddering with the memory and giving a nervous laugh. “Well, as far as clues go,” Linq said, “let’s see what we’ve got. The place seems deserted, but there’s plenty of blood and trampled grass. We also have a head, six fingers, and most of a face. Not much to go on, I’m afraid.” He sighed. “Not much to go on,” Ray said, snorting. “You recite a list of body parts and complain that it’s incomplete. Is that supposed to be funny?” He started laughing. Amazed, Linq stared at his friend for a few seconds, wondering if the teen had lost his mind. But Ray only laughed harder, which proved infectious. Before he knew it, Linq was laughing, too, all the harder because of the absurdity of the situation. “Body parts … incomplete.” Ray huffed between bouts of laughter. He fell to his knees, laughing harder—so hard that tears ran from his eyes. He tried to say something, his mouth opening and closing like a fish out of water, but he couldn’t stop laughing. For Linq’s part, every time he thought he had regained control, he’d see images of someone checking off items on an inventory list and the laughter would resume. So, in a surreal moment, the two teens sat on a bloodstained hill on a beautiful summer day and laughed as if they hadn’t a care in the world. It was cathartic. It was also natural—they were only fifteen years old, after all. If an enemy showed up at that moment, both teens would die, but their luck held. Little by little, the laughter subsided, moving from violent explosions to mild outbursts to intermittent chuckles, as the ill-timed humor ran its course. When it was over, they composed themselves and stood, looking at each other with equal parts relief and curiosity. Their hearts were a little less heavy, and their faces, although streaked with tears, were a bit less careworn. Both boys froze on instinct. They waited—one second, two seconds—for the sound to repeat. “Was that what I think it was?” Ray whispered. Linq nodded. It had been a heartbeat. Faint, coming from the other side of the tower, but within range of vampire senses. Linq didn’t answer. He could offer guesses, but nothing certain. The only thing he knew was that it wasn’t Cassandra or Daniel. Vampire hearts didn’t beat. Don't forget to stop by Sweet Southern Home tomorrow to read Chapter 7! Check out my reviews of: Væmpires: White Christmas and Væmpires: Revolution as well as an interview with the author, Thomas Winship. 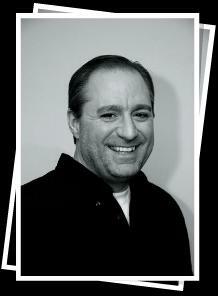 About the Author:Thomas Winship was born in Middletown, NY (USA) and still resides in Orange County. He holds an MBA in Management from St. Thomas Aquinas College, where he serves as MBA Director and adjunct professor of courses in English Composition, Communications, and Business. He also spent fifteen years working for a global pharmaceutical company, specializing in organizational development, talent management, and training. He is currently working on the next installment of the “Væmpires” series, which is scheduled for a 2012 release. To learn more about Thomas Winship and his books, visit his website. You can also find him on Facebook and Twitter. Thank you so much for helping share Vaempires: Zombie Rising! Hi Wynne! It's only a few hours away! Thanks for stopping by.